I recently got a new horse in that is doing great but SERIOUSLY needs a good bondering. But the problem is that we had to dismantly my roundpen to work an area for my new arena. Right now I have neither and have been working him in an open field. 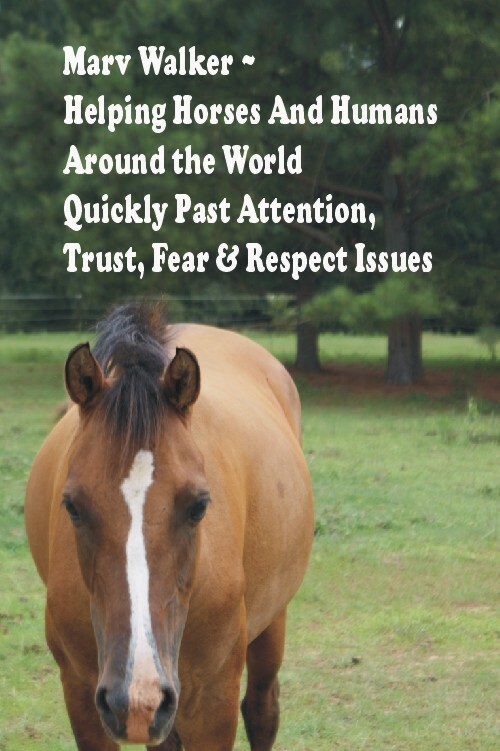 He is a 12yr old registered Arabian. Main problem I have been having is that any time I work him I can only seem to get his attention for a split second then he is looking around for the other horses and at other things. He has been here 2 weeks now and is finally figuring out this is *home* so I no longer worry as much about him getting away from me and taking off in a blind panic and not coming back. He has been really easy to catch but as he gets more and more familular with the place he is getting harder to get my hands on (We will be working on that for the next couple days in the pasture). I started him on a calming supplement as he is the poster child for Ritalin, his mind is going 500 miles and hr even when standing in a stall at night with everyone else. He is being tied in front of the barn every couple days for a couple hours (Or untill he settles down, I untie him as soon as he stops pacing and fussing and just stands there quiet) He has gotten better but is still "All over the place!" Is there a way I can do the bonder in an open field on the end of a lounge line? He is VERY soft in the halter and has been working great on the ground with flexing and in hand work. The place he was at before bought him as a 4yr old stallion and gelded him soon after but then just put him out to pasture and the next time he was handled much was when he got here. Am I asking too much of him too fast? I appologize I am used to working with QH types, I have had a few arabs in the barn over the years but not for long. Also it seems that on the lounge line the second you send him out he flies around and around, I have worked with smaller circles in an attempt to get him to slow down and relax which works in small circles but as soon as he gets a little more line he is off again. Prime example of someone who used a lounge line to just burn energy, not for "work." Any ideas or suggestions?? The Arab I best remember working wouldn't stand still. If you touched it anywhere its whole body would jerk and you could surf on in on the waves. It was one mass of tension. It was looking everywhere at the same time. When I commented on its behavior its owner told me that was the "Arab spirit." Arab fanciers will tell you that attitude is highly desired and many breeders breed for it. Non-Arab fanciers, however, often refer to the attitude as "crazy Arab." Many Arab fanciers sing the mantra. Yet Arab owners very often report the exact opposite. Their horses instead of being cooperative are anything but. They claim the jumping around, erratic movements are simply the result of unused or un-channeled energy. They often bleed off the excess energy by longeing. However, what usually happens is the longeing, the bleeding off of energy, creates more energy and it takes more and more to accomplish the same result. Rather than “bleeding” off the energy one needs to “release” the tension. Once the tension is released, then the horse is more willing and able to focus. If I have a horse who obviously tense I don’t want to increase its tension by making him “move his feet” or do something strenuous. I want to repeatedly abruptly raise and release his tension and allow it to come back down and through its tension ceiling. I don't want to work the tension off. I want to the tension to be released. I use my hand, a plastic bat, a longe whip handle, or the like, to rhythmically tap on the horse just hard enough to jar it. My goal is to have a muscle or muscle group abruptly shocked into sudden contraction (tension) followed by immediate release (relaxation). To get an idea of how this works find someone to rhythmically tap on your back. You may have already experienced the relaxing feel of someone doing that to you during a massage. Once I bleed off, not work off, the tension then I can easily get the horse’s (Arab or otherwise) attention. Once I get the horse’s attention (focus) then I can begin to give it direction. I personally just “beat” on the horse because most of the things I do when I’m working with a horse have more than one purpose. For instance in this case, both de-spooking and relaxation.